Gozo island tour is also present in Malta's sister island of Gozo. It is the best way to see the island while hopping on and off the tour bus to visit the many interesting places. Why not include a swim. The tour passes from various bays where you can also enjoy a nice meal. The Gozo - Green Tour starts from Mgarr Harbour, close to the Ferry terminal. The places where you can hop-off or pass by during the tour. Departure from Mgarr Harbour according to time schedule which can be easily collected from hotels or distributed from many touristic shops. On arrival with the ferry boat you depart from this port known as Mgarr. At the top right edge of the cliff there is Fort Chambray overlooking the harbour. A harbour where all the merchandise of Gozo is loaded and unloaded, this is also the main port for the local fishermen. A privately owned museum which a vast variety of exhibits, among which an authenticated pieces of timber from Lord Nelson's ship "HMS Victory the Constitution which was the ﬁrst US warship. Also Lord Mountbatten's gold epaulettes which he wore during the period of duty in the Mediterranean. The biggest bay in Gozo with it’s reddish sand colour is well visited by all for its tranquility and beauty, lies at the end of a very fertile valley. It is a Gozitan Group of companies called Magro Group Limited. 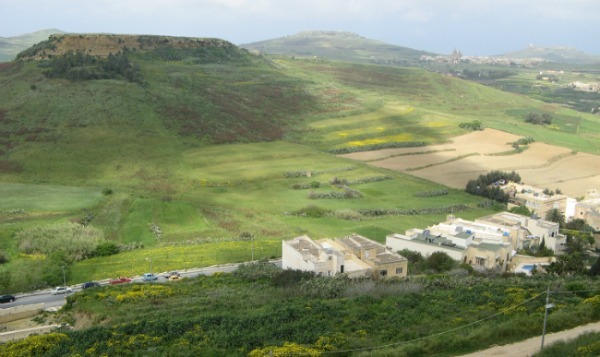 From this little island of Gozo they have achieved, after four generations, to become the leading food producers in Malta, becoming reputable provision merchants and have business connections with some fifty countries in four continents. They consist of a megalithic complex of two temples built between 3600 and 3200 B.C. These temples are part of the UNESCO World heritage sites. Located very close to the temples in the heart of Xaghra, is one of the few surviving windmills on the islands built during the reign of the Knights of Malta. You can visit the museum within the windmill. Calypso cave overlooks Ramla Bay. This cave has long been attached to Greek mythology. The legend says that Gozo is Homer’s Island of Ogygia and this cave is where the beautiful nymph Calypso kept Odysseus as a prisoner. It is a seaside resort where many Maltese have their own apartment. Many tourist reside here for their holiday either in hotels or apartments. It is the location where many people go to swim, evening walks, plenty of restaurants and bars. It is very popular in the summer months. Lying on high grounds with all roads leading to the centre from all parts of Gozo. The Citadel is further up on a steep hill encircled with high fortified walls. During the day Victoria is a hive of activity, with the local market which is located in the central square attracting many visitors. Gozo island tour will also take you to a sanctuary has been built at this location where it is said that Our Lady of Ta’ Pinu is believed to have miraculous healing powers. It is worth seeing the beauty of this church both from the outside and the inside. 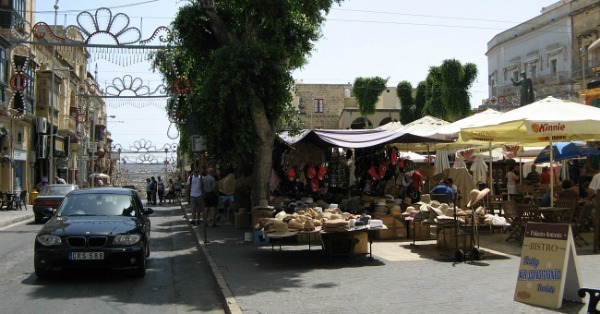 The crafts village of Gozo is located at Ta’ Dbiegi Crafts Village in Gharb. 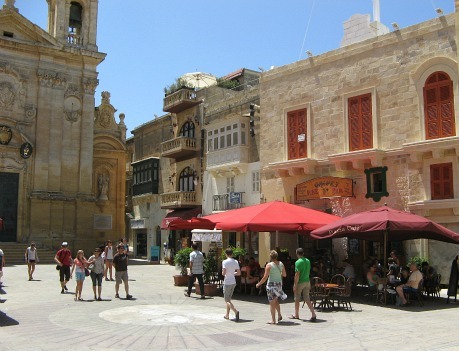 Various shops where you can find Gozo lace, hand made pottery, glass blowing and leather products. This location is a natural wonder with rare geological features. The inland sea, the Azur window, the Fungus rock and the Knights of Malta watch tower. The area is a well sought after diving area. A small village a suburb of the Citadel. To go to Dwejra bay you have to pass from this little typical Gozitan village. A very popular bay for swimming, restaurants and bars both during the day and in the evening. Various hotels are lined along the seashore with tables. One can have a lovely meal specialising in fish. 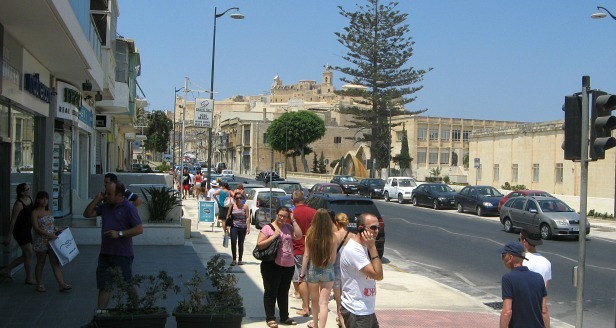 Located at the centre of Victoria and all Malta Public Transport buses coming from all villages in Gozo. A small village with a majestical church built at the centre of the village. It was built from Maltese stone by local masons and craftsmen. 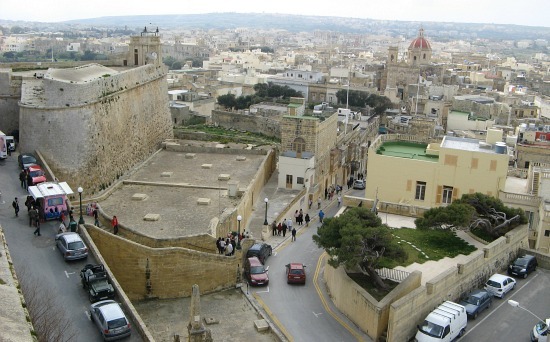 It is the largest church in Gozo and can be seen above the normal skyline. Gozo island tour return to Mgarr Harbour.